In the weekly generated reports you get an overview of what your inspections have discovered about your project. You can see the current status of your project's score, the amount of issues, code coverage and alerts and how those changed compared to the last report. Developments reports are automatically generated for your default branch. 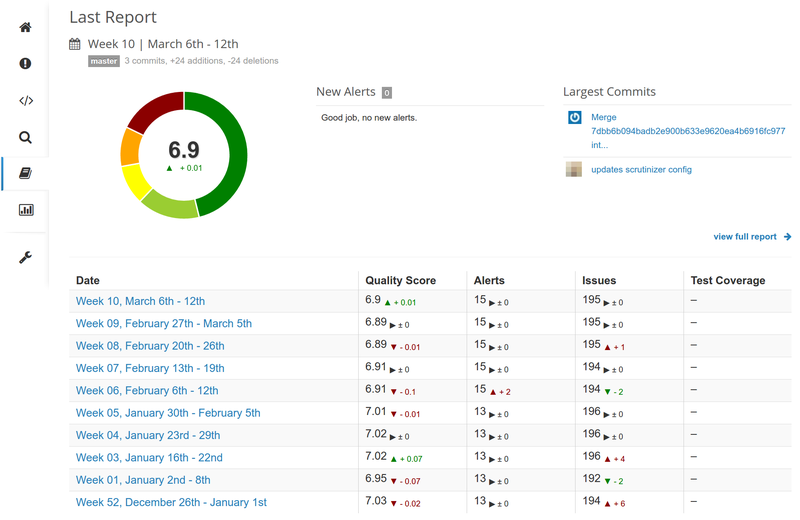 The first report will be generated when you have two different commits inspected in the last 7 days. Any following report is generated each week if there are new changes in your project.